This entry was posted in Autism, Parenting, Speech and tagged Anxiety, autistic, communication, conversation, frustration, goals, intent, intention, non-fluent speaker, non-speaking, RPM, typing to communicate. Bookmark the permalink. You all have given me something profound to think about as I go throughout my day. 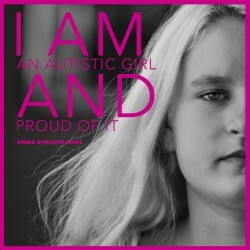 Thank you, Emma, for helping me better understand my grown autistic daughter. I continue to think about her words! I’m currently reading Jill Bolte Taylor’s “A Stroke of Insight”, and am just *beginning* to get a sense for how it would be to have a differently-functioning brain. It is immensely humbling, and reminds me how arrogant we are being when we harshly judge anything our kids with autism do. (I’m a relative newcomer to this blog, and I’m deeply grateful to all three of you for sharing your life and reflections with us. It is making a profound difference to how I interact with my own son with ASD). Hi R’s dad. Thanks so much for reaching out. I loved A Stroke of Insight! It was particularly incredible to read her ongoing analysis of what she knew was happening as a professional in the field of neurology, but also as the person experiencing it. Oh man . . . could you ask Emma if she might elaborate on this subject? 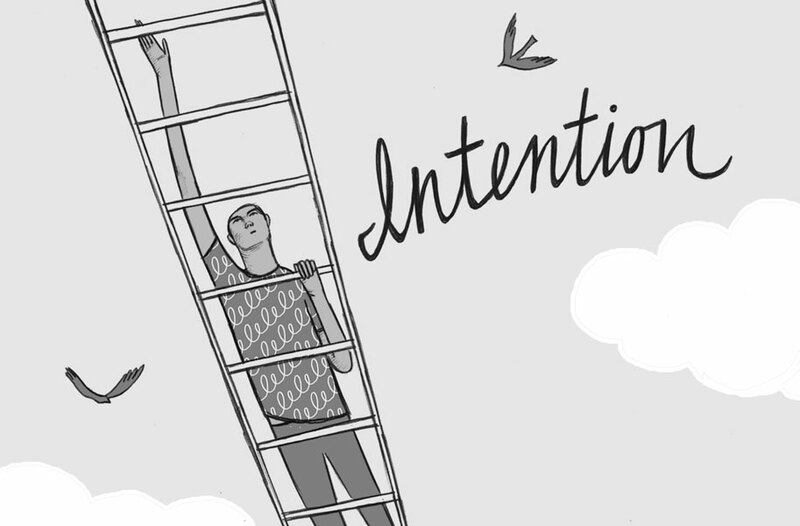 I’m not sure I understand what she means by “intention,” but if it’s what I think she’s saying she’s describing something I’ve struggled with unbelievably my whole life. I feel she could potentially give me tons of insight into how my own mind works — or at least a much-needed sense of vindication. I want to second this. I would love to hear Emma elaborate on how she feels and understands “intention.” The thing is, I think she’s talking what I have always struggled with (like Jo above me says) but never been able to articulate to anyone. Emma really has a way with words. It’s not her responsibility to educate others on how she operates, and I don’t mean to sound like it is. But wow, it she were able to do so – if she were able to put this feeling of anxiety and intention and hurdles and intimidation and trepidation (some are my words, I know) and she could let others like me borrow her words to help communicate with people who have never felt this way…that would be so incredible. I know I would be very grateful, and I don’t think I’m the only one. I’m already grateful for what she’s shared in this post. notesoncrazy – note to Jo below… It’s interesting to read the comments here and on FB as I am needing to think about all of this more too. If Em writes more about this, I’ll either ask her if it’s okay to post as a blog or will add to the comments here. I’ll ask Emma later. We are inundated with other things though and as typing is laborious for her, she may decide she just can’t, but I’ll ask, I promise. I know there have been times when I’ve intended to do something, have then attempted to do whatever it was and found it utterly daunting and even impossible… but usually throughout the day I take for granted that what I intend to say and mean is generally understood, or if I decide I’m going to tackle a new project (unless it’s the book I’ve been struggling with for a while now) I then figure out what I need to know or learn (if it’s a new skill) and then go about doing it. Even if I’m taking the word too literally, I still do not feel anxiety or fear when I think of “intention.” So I’m pretty sure what I experience MUST be different than what Emma (or many of you) is/are talking about. While I don’t fully understand what Emma might mean here about intentions being a hurtle, I think I may have struggled with something like this all my life and realized that, effectively, because of my communication skills limitations and my executive function limitations, I don’t have anything like the capacity that most other people have to act on my intentions, and, at least in the every day sense of the concept, I don’t have as much free will — ability to carry out intentions — as an abled person. So yes, I’ve learned that I am happiest when I can just go with the flow and accept what my body can and can’t do in stride, rather than be attached to being able to cary out my intentions. Thus I would have to say that, yes, having intentions really does sometimes get in the way of me just *being* in the world. Is the word “dreams” any less daunting? Emma has said in a nutshell what so many of us autistics experience but struggle to describe. Thank you, Emma!